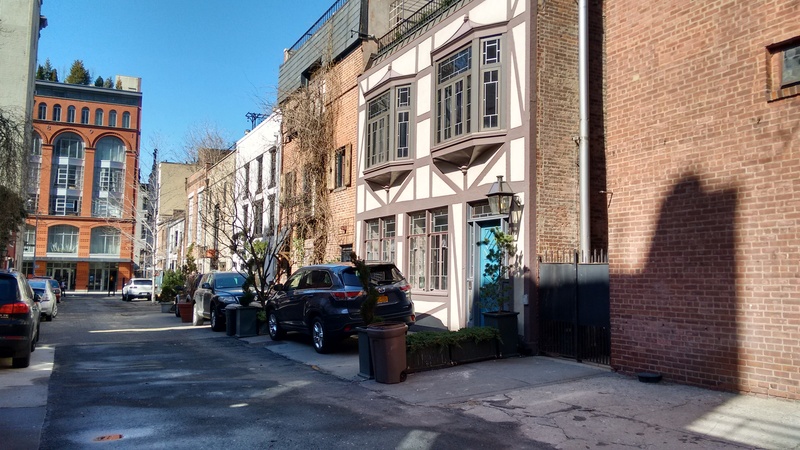 Few New York City streets can genuinely be called "mews," but MacDougal Alley, a cul-de-sac off MacDougal Street in Greenwich Village, is one of them. 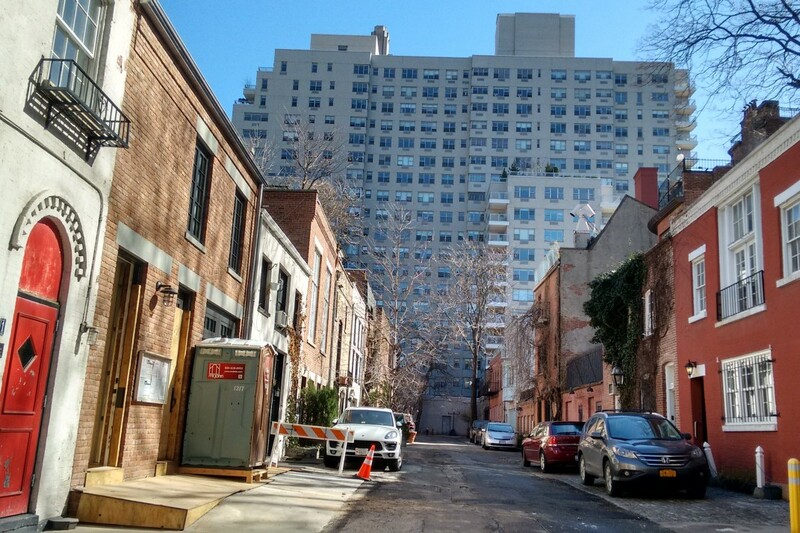 Unlike some of the buildings that have appropriated the word “mews” in their names (for instance, the 78-unit Clinton Mews in Brooklyn or the nine-story Soho Mews), this thoroughfare just south of West Eighth Street is the real deal. 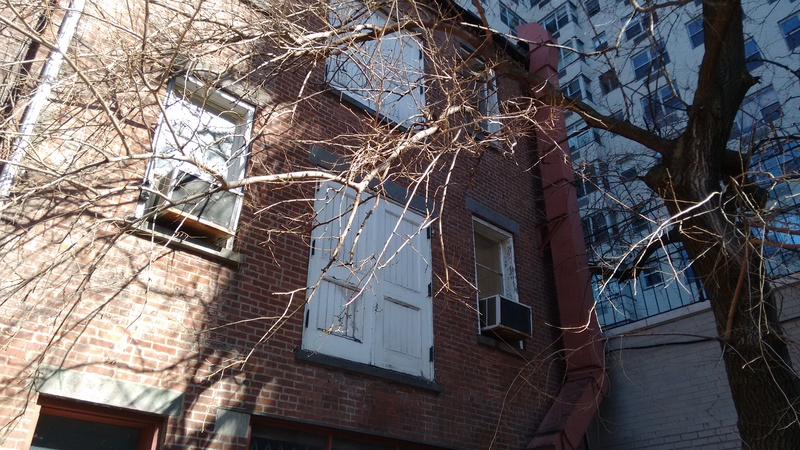 To qualify as a mews, its buildings need to have been working stables and/or carriage houses once upon a time. MacDougal Alley's original stables were built just behind the gilded age townhouses that lined West Eighth Street and Washington Square North. 1. The Alley is named after a mostly forgotten Revolutionary War hero. And they spelled his name wrong. Alexander McDougall—which is how he spelled it—came to the U.S. from a small island off the coast of Scotland when he was just six years old. Without much formal education but with lots of smarts, he became a successful New York merchant, an outspoken patriot and a fierce defender of freedom of speech as one of the founders of the underground Sons of Liberty, a secret group that, according to the Boston Tea Party Ships and Museum website, "was established to undermine British rule in colonial America and was influential in organizing and carrying out the Boston Tea Party." He was such a popular figure at the time that when he was imprisoned for one of his anti-British broadsides, he had so many visitors that he could only see them by appointment, according to The Street Book by Henry Moscow. McDougall was a good friend of Alexander Hamilton, served valiantly under George Washington, replaced Benedict Arnold as commander of the troops at West Point, was a delegate to the Continental Congress, a member of the New York Senate and the first President of Hamilton’s Bank of New York. Not only did he not get a hit musical written about him, but his name is misspelled on the street and alley meant to honor him. 2. An immensely wealthy woman’s decision to set up a sculpture studio in Greenwich Village shocked the country. Gertrude Vanderbilt was born in 1875, the daughter of Cornelius Vanderbilt II, whose wealth, if translated into today’s terms, would be double that of Bill Gates. At 21, Gertrude married into more money. She didn’t have to go far to find her mate: Harry Payne Whitney lived in the mansion across the street from hers on Fifth Avenue. Gertrude refused to be bound by the conventions of her time and class. In a 1919 New York Times interview, she said that “doing the unexpected always has its power of charm.” For her, the “unexpected” included pursuing a career in sculpture and buying a studio at number 19 MacDougal Alley to do just that. A midwestern newspaper was horrified by the move and wrote an article with the headline: "Daughter of Cornelius Vanderbilt Will Live in Dingy New York Alley.” This was fake news; she worked there but never lived there. 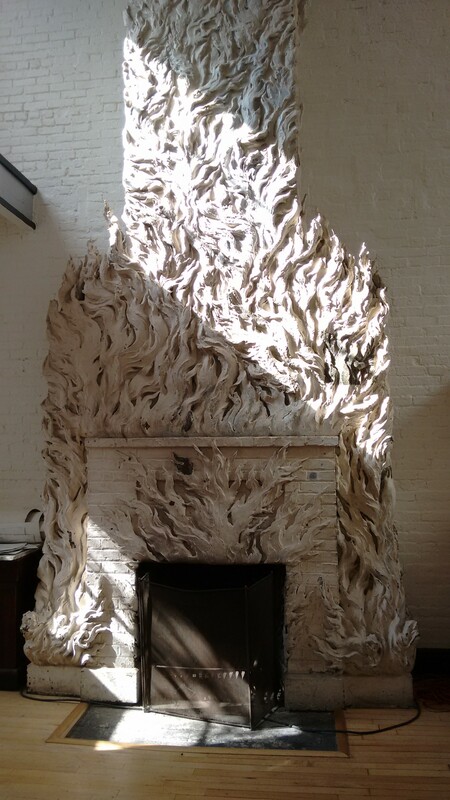 Gertrude’s studio is still largely intact with its fireplace (pictured below) embellished with a 20-foot tall sculpture of flames by her eccentric friend and fellow-artist Robert Winthrop Chanler. Although Chanler’s stained glass windows are gone, a sliver of the former stable’s hayloft and the hayloft doors are still visible (pictured above). Studio School faculty and students still meet there weekly for their critique sessions. 3. Gertrude offered the Met her art collection and they refused it. 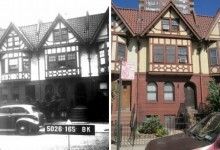 By 1931, Gertrude had purchased eight of the buildings that surrounded her studio. She consolidated the space and turned it into a mecca for American artists who, at the time, were being ignored, considered too provincial for serious collectors. Edward Hopper, Stuart Davis, William Glackens, Reginald Marsh, Thomas Hart Benton, and more gathered at her studio, had their work exhibited there, entered competitions, and sold their art—and lots of it—to Vanderbilt. With the help of her assistant, Juliana Reiser Force, whose motto was “show, show, show,” Gertrude organized at least 10 exhibitions each season for what was then known as the Whitney Studio. By 1928, Gertrude had a collection of more than 600 works which she offered to donate to the Metropolitan Museum along with an endowment. Her offer was refused. Undaunted, Gertrude and Juliana set up their own museum and in 1930, the Whitney Museum of American Art opened its doors to the public. Four thousand people showed up the first day. 4. Two of the 20th century’s most important artists lived on the Alley. From 1949 to 1950, Jackson Pollock lived at number 9, a home borrowed from his friend and benefactor, Alfonso Ossorio, also an abstract expressionist painter of the time. Isamu Noguchi, after a voluntary stay in a Japanese internment camp in Arizona where he hoped to improve conditions, moved to a home and studio number 33. 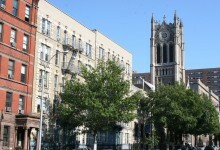 The building is no longer standing, demolished along with several others to make way for 2 Fifth Avenue which towers over one end of the block. It was in this studio that Noguchi created some of his most famous works including his series of interlocking sculptures, according to the Greenwich VIllage Society for Historic Preservation. 5. If you covet a home on the Alley, get in line. According to Richard Lech, a broker with Halstead with 20 years experience in the West Village, a home on the Alley comes up only about once every seven or eight years. According to that theory, one might be appearing soon, since the last one sold on the block was number 7, bought in 2009 for $5.5 million. 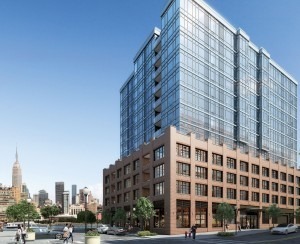 Rentals on the block are not quite as rare as sales. According to Lech, “they come up about once a year” and some have their very own parking spaces right in front. A one-bedroom, one bath at number 1 was grabbed up not long after being listed for just a few days in February. This “village dream apartment”, fully renovated with its own parking space, a washer and dryer, and a decorative fireplace went for $6,500. 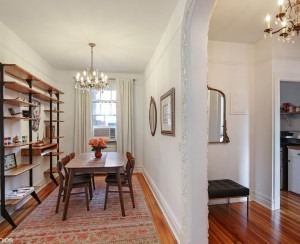 Just right for a pied-a-terre, said the listing.